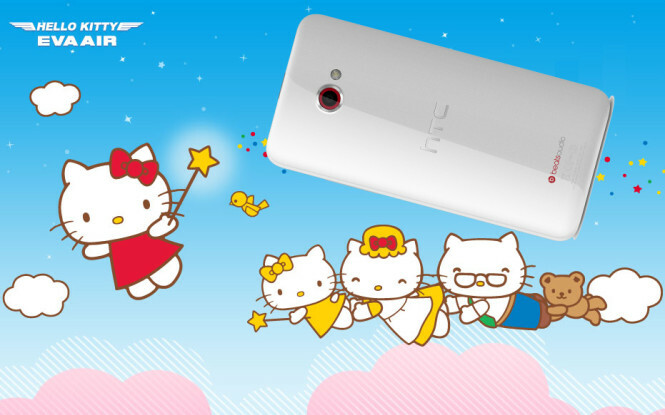 While Japan had a Hatsune Miku featured Sony Xperia Smartphone, Taiwan has selected Hello Kitty to be featured on a smartphone. According to eprice, HTC plans to launch a new Butterfly S with EVA Air. It is said that the new smartphone will only be produced in a very limited quantity. 3100 to be exact. 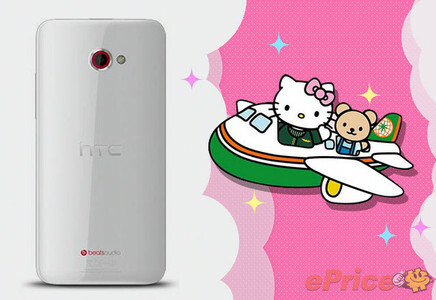 It is reported that HTC Butterfly S Kitty Special Edition will only be available in white. The back body will feature Hello Kitty and changes are made to attract Hello Kitty lovers. Although Hello Kitty hasn’t represented many products, there have been many previous Hello Kitty phones. It is the first time a Hello Kitty themed phone is appearing on a high end smartphone model and we are quite sure that this new model will capture the hearts of the avid Hello Kitty fans. If they are serious with the Butterfly S, they would have put in the optical stabilizer and increase the number of "ultra pixels" to 8. Releasing this 4 months after their much hyped HTC One, as a consumer I'm very perplexed by this as it seems the company ain't serious with both the One and the Butterfly S. No amount of marketing is going to save HTC from this self-cannibalism act. Maybe 4 more months from now and we will see the HTC "Two"
It's probably how they make sure that their handset sells. There isn't really any place where they can further innovate, so they have to put in these hardware factors into their next flagship. LG’s new Q7+ coming this 7th July!